Looking for used car deals near Meriden? With a large variety of deals on used Honda cars, trucks, and SUVs, Executive Honda has you covered. Find competitive offers on popular used Honda cars including late-model used Accord, used Civic, and used CR-V models. With deals like these and a massive inventory of used vehicles to choose from, we’re certain you’ll find a pre-owned Honda you love at a price that suits your budget. Browse our used car deals online to discover the perfect one to drive home to Middletown. ***ONE OWNER***, **BLUETOOTH**, **SUNROOF**, **HEATED SEATS**, **BACK UP CAMERA**, **Honda CERTIFIED**, **NEW BRAKES**, **CLEAN VEHICLE HISTORY REPORT**, AWD. Certified.CARFAX One-Owner. 25/31 City/Highway MPG Awards:* 2016 IIHS Top Safety Pick+ (With Touring Model) * ALG Residual Value Awards * 2016 KBB.com Brand Image Awards2016 Kelley Blue Book Brand Image Awards are based on the Brand Watch(tm) study from Kelley Blue Book Market Intelligence. Award calculated among non-luxury shoppers. For more information, visit www.kbb.com. Kelley Blue Book is a registered trademark of Kelley Blue Book Co., Inc.
***ONE OWNER***, **BLUETOOTH**, **SUNROOF**, **HEATED SEATS**, **BACK UP CAMERA**, **LEATHER**, **Honda CERTIFIED**, **NEW TIRES**, **CLEAN VEHICLE HISTORY REPORT**, **LANE WATCH CAMERA**, **POWER SEAT**, **ALLOY WHEELS**, AWD. Certified.CARFAX One-Owner. 25/31 City/Highway MPG Awards:* 2016 KBB.com Brand Image Awards2016 Kelley Blue Book Brand Image Awards are based on the Brand Watch(tm) study from Kelley Blue Book Market Intelligence. Award calculated among non-luxury shoppers. For more information, visit www.kbb.com. Kelley Blue Book is a registered trademark of Kelley Blue Book Co., Inc.
***ONE OWNER***, **BLUETOOTH**, **NAVIGATION**, **SUNROOF**, **HEATED SEATS**, **BACK UP CAMERA**, **LEATHER**, **Honda CERTIFIED**, **NEW TIRES**, **CLEAN VEHICLE HISTORY REPORT**, **LANE WATCH CAMERA**, **POWER SEAT**, **ALLOY WHEELS**, AWD. Certified.CARFAX One-Owner. Odometer is 2440 miles below market average! 25/31 City/Highway MPG Awards:* 2016 KBB.com Brand Image Awards2016 Kelley Blue Book Brand Image Awards are based on the Brand Watch(tm) study from Kelley Blue Book Market Intelligence. Award calculated among non-luxury shoppers. For more information, visit www.kbb.com. Kelley Blue Book is a registered trademark of Kelley Blue Book Co., Inc.
***ONE OWNER***, **BLUETOOTH**, **SUNROOF**, **HEATED SEATS**, **BACK UP CAMERA**, **LEATHER**, **Honda CERTIFIED**, **NEW TIRES**, **NEW BRAKES**, **CLEAN VEHICLE HISTORY REPORT**, **LANE WATCH CAMERA**, **POWER LIFTGATE**, **POWER SEAT**, **ALLOY WHEELS**, AWD. Certified.CARFAX One-Owner. 18/26 City/Highway MPG Awards:* 2016 KBB.com 16 Best Family Cars Three-Row Crossover/SUV * 2016 KBB.com Best Buy Awards Winner Mid-Size SUV/Crossover * 2016 KBB.com Brand Image Awards2016 Kelley Blue Book Brand Image Awards are based on the Brand Watch(tm) study from Kelley Blue Book Market Intelligence. Award calculated among non-luxury shoppers. For more information, visit www.kbb.com. Kelley Blue Book is a registered trademark of Kelley Blue Book Co., Inc. 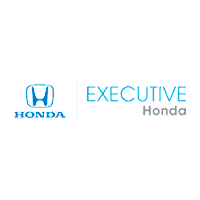 Here at Executive Honda, we understand that you want a quality used car at the best possible price. That’s why our service department thoroughly inspects each used vehicle in our inventory and our Perfect Price Policy applies to every used car, truck, and SUV we sell. You’ll always get our best price first without wasting any time haggling. We even offer a selection of used vehicles priced under $10k to ensure we have a used vehicle in stock to suit almost any budget. Once you’ve browsed our pre-owned specials online, it’s time to stop in for a test drive. Contact us at your convenience with any questions about our offers or simply stop into our showroom in Wallingford near New Haven.